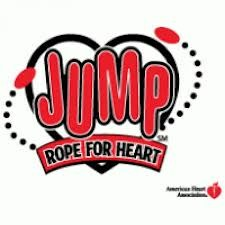 Students at Rowland Elementary School recently participated in the Jump Rope for Heart Program, a creative program sponsored by the American Heart Association (AHA) and the American Alliance for Health, Physical Education, Recreation and Dance (AAHPERD). Organized by Physical Education teacher Mr. Waite, the Jump Rope for Heart Program featured two main parts. The first part involved students learning basic jump rope techniques and skills and how they can become part of an active and heart healthy lifestyle. The second part of the program involved the students requesting donations from family friends to raise awareness about the program. Altogether, the response from students and their sponsors was overwhelming, as they were able to raise $1,665 to be donated to the American Heart Association for education and advocacy efforts for children with heart-related conditions. Congratulations to Mr. Waite and the students at Rowland Elementary for ‘jumping’ at the opportunity to help other children!